Now Athena is at school and Arlo with the childminder three days a week I am really hoping to carve out some time for myself during the week. I’ve not done any proper exercise other than the odd swim or long woodland walk since Athena was born and shes now four! Having two kids in under two years has definitely changed my body as I didn’t really watch what I ate or look after myself at all. But now I want to change that! Realistically I know it would be a lot of hard work to get back to the size 10 I was on my wedding day at three months pregnant but its an end goal! At the moment I’m a 14 in most clothes, and although I know size is just a number I don’t actually like how I look right now. If I don’t hold my belly in I look more than a few months pregnant, I have flabby upper arms and dough like thighs, plus a double chin. That’s what I want to change, not necessarily the numbers on the scales. That said I feel like I need a kick start to losing some inches so last week I started a ketogenic diet. It’s not particularly fun but I am seeing fast results and I’m definitely not starving! I’m just not eating a whole packet of Oreos in one sitting, in fact I’m not eating any sugar at all! The first few days were miserable as I had a cold anyway on top of the sugar withdrawal! But I survived, and I feel a lot better for it too! I plan to do this till I lose two stone, or Christmas, whichever comes first. Then I’ll enjoy Christmas and New Year and then do Slimming World to maintain my weight with any luck! I do of course plan to kick start an exercise routine too, though ten school runs a week of a forty minute round trip should help! 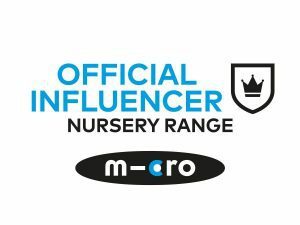 I wont be able to start any gym classes till Arlo is at preschool rather than the childminder due to a few factors but for now I am attempting to do two workouts at home per week. 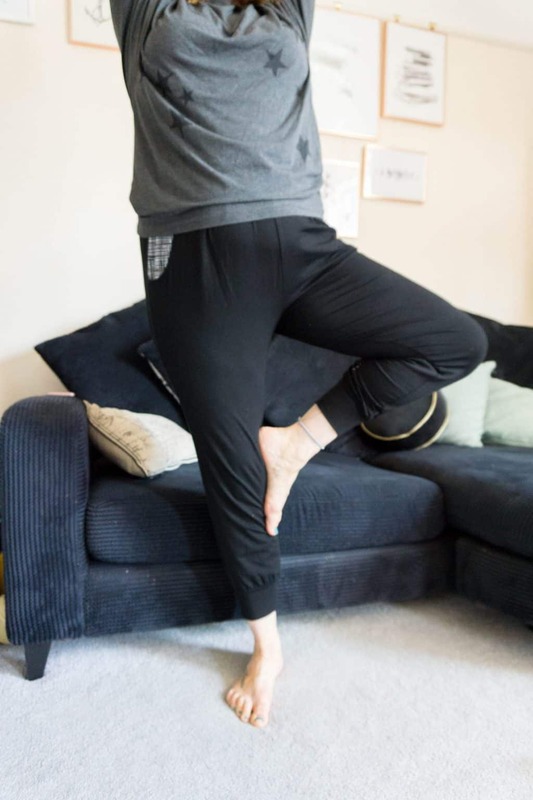 The first is a Body Balance type class – I just search on youtube for these. I used to go to them a lot pre-kids, it’s a mixture of yoga, Pilates and tai chi with a relaxation at the end. I love this sort of thing, as I find working to music helps my to relax and switch off my brain. The other workout I’m attempting to do is a cardio style workout, like the Body Coach 15 minute high intensity training sessions. I have zero stamina so need to take it slow and build up, otherwise I’ll do myself a mischief! I am also going to start doing the couch to 5k app thing (I’m not even sure how it works yet!) but next week Sam is on a week of early shifts so should be home in time for me to go for a run (ahem, slow jog with lots of rest stops) in the evenings, I just wish it would get darker a little earlier as I prefer to run in the dark when nobody can see me looking like a hot sweaty mess! 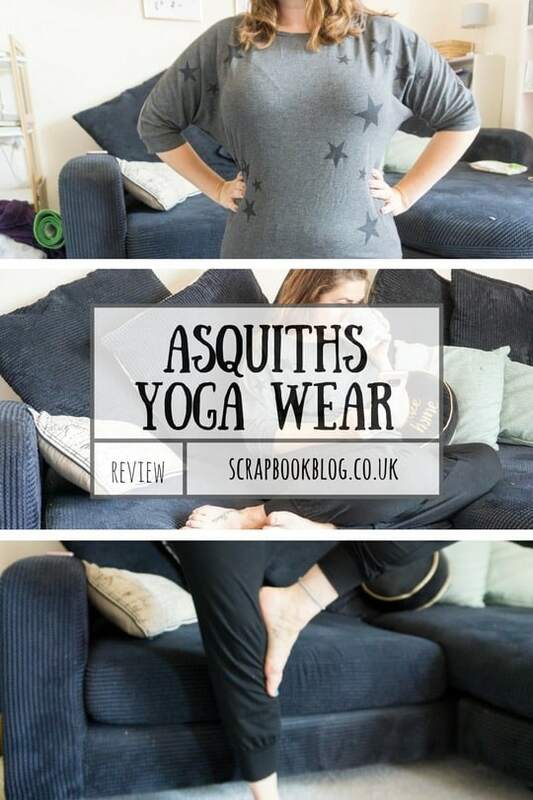 Asquith sent me this insanely comfortable yoga outfit a couple of weeks ago, which has helped kick start me with my new routine, and getting into it after a day in jeans is just bliss! The top is the ‘Be Grace’ batwing top in grey, with black stars of different sizes scattered on it. The Bamboo fabric means that it is super soft, and helps you to regulate your temperature. I must remember not to use fabric conditioner, though I’m not sure what will happen? The top can be washed at 40 though so no worries there. It’s gone through a couple of washes now, which you would expect as it’s definitely my new favourite top to wear all the time, not just for yoga! It’s super flattering and doesn’t look especially like exercise gear! The rounded neck cuts a flattering line, and the batwing sleeves hide my upper arms, bonus! 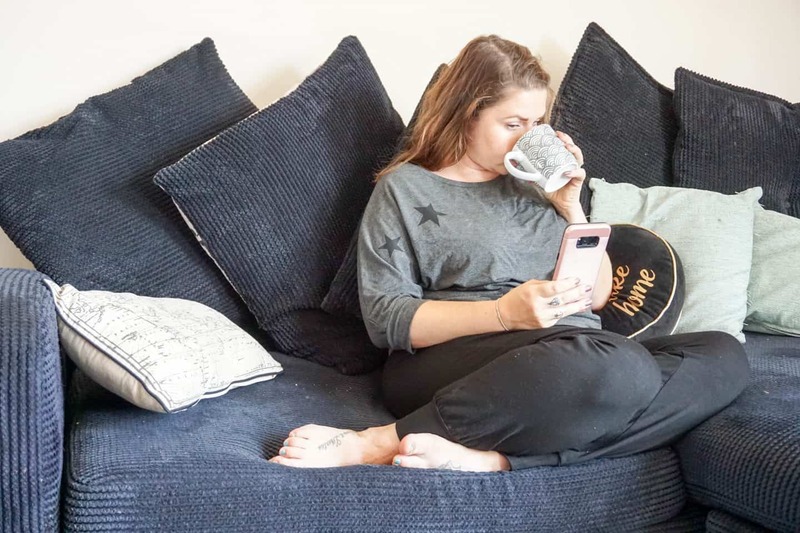 The length is perfect to be worn pulled down over leggings to cover your bottom, or worn higher round the waist with jeans, which is really flattering on the old mum tum! 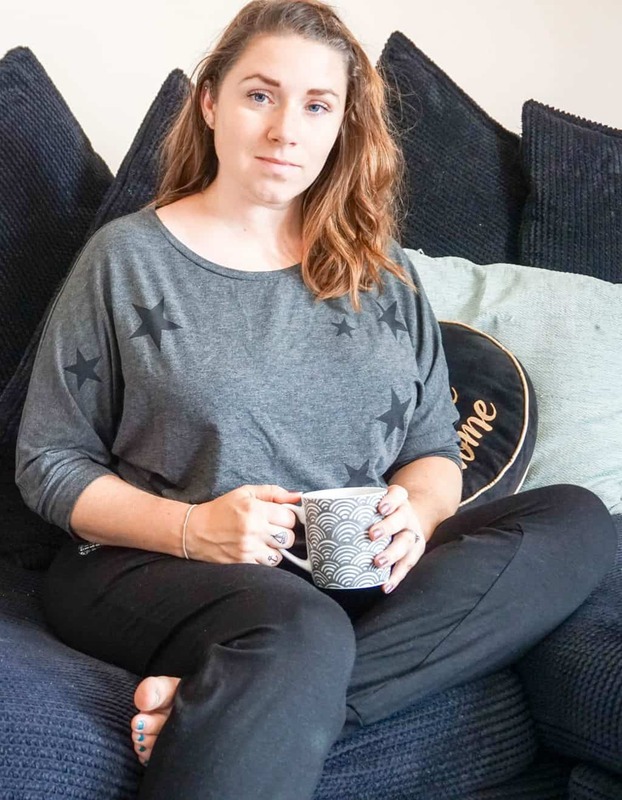 The ‘Heavenly Harem Pants’ that I’ve paired the tops with are SO comfortable, with a wide stretchy waistband that stays in place, gathering at the front for a flattering fit and pockets! Any clothing is ten times better with the addition of pockets so I knew these were the pants for me! Cut to sit slightly above the ankle another wide cuff keeps them where they need to be during whatever exercise you’re doing! These are also made of breathable Bamboo fabric with 5% elastane for added stretch. These have bobbled ever so slightly on the knees but I think the culprit is our non-wool living room rug and friction- I need to get myself a yoga mat! The bobbles came off easily with one of the de-fuzzers and they look good as new again. The whole of the new range from Asquith is perfect for layering too, with strappy vest tops, leggings with ‘cover your bum’ skirts attached and lots of lovely designs!